Bridge of Garry played on BBC Radio Scotland’s Iain Anderson show. Donside played on BBC Radio Nan Gaidheal’s Caithream Ciùil. The River Princes playlisted for Nevis Radio. The River Princes played on Acoustic Routes on Dapper FM. Mondays 8-10pm. Hooray Henry, The River Princes & Bridge of Garry played on BBC Shropshire’s Genevieve Tudor’s Sunday Folk. Plus interview from Celtic Connections. Article in the Bristol Post. Bridge of Garry played on BBC Radio Nan Gaidheal’s A’ Mire ri Mòir. Hooray Henry played on BBC Radio Nan Gaidheal’s Caithream Ciùil. Bridge of Garry on The Folk and Acoustic Music Show on Acoustic Spectrum. Mondays 9pm. Kite Song played on BBC Radio Ulster‘s Late Show with Eamon Friel. Hooray Henry played on Baylen Leonard’s The Front Porch Country Music Show on Amazing Radio. Saturdays form 6pm. Hooray Henry played on Johnny Coppin’s Folk Show, BBC Gloucestershire. A Precious Place played on BBC Radio nan Gaidheal’s Caithream Ciúil. Article in Blackmore Vale Magazine, previewing Patsy Reid & Friends @ Herrison Hall, Charlton Down, Dorset on 23rd Feb.
Hooray Henry played on Richard Harris’s Folk & Blues Show on Somer Valley FM. Article in the PRSD – People’s Republic of South Devon, previewing Patsy Reid & Friends @South Devon Arts Centre, 20th Feb.
Radio nan Gàidheal’s Caithream Ciùil played Hooray Henry. Listen here. 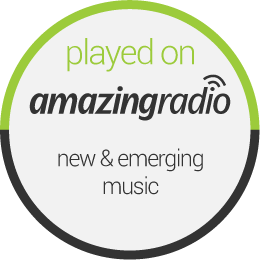 Delighted Kathryn Tickell is playing two more of my tracks tonight on Amazing Radio. Tune in here at 9pm for some great music, and of course listen again any time you like! Album of the week on BBC Radio nan Gaidheal’s Caithream Ciuil. Radio nan Gàidheal’s Caithream Ciùil played Donside. Listen here. BBC Radio Scotland’s Travelling Folk with Anna Massie played Hooray Henry and Half Acre. Wiveliscombe’s Folk, Roots and Branches played Hooray Henry plus live phone interview. The Folk Show on Manx Radio played Bridge of Garry and Lost in Green. I’m delighted to have Hooray Henry played on Kathryn Tickell’s Amazing Radio folk show on Monday 3rd February. Listen to Felixstowe Radio here. ALBUM OF THE WEEK on Celtic Music Radio! Nevis Radio will be playing The River Princes. FolkCast featured A Precious Place on their February Podcast. Listen here and please subscribe to a brilliant programme for free! BBC Radio nan Gàidheal’s Tiompan played Thugainn. Mike Ganley’s Crooked Road on Swindon FM played Hooray Henry, Track 1 from The Brightest Path. Folk Show on Argyll FM played Hooray Henry, Track 1 from The Brightest Path. ALBUM OF THE WEEK on Aygyll FM! Iain Anderson’s show on BBC Radio Scotland played The River Princes, Track 3 on The Brightest Path, a great song, written by Ewan MacPherson. Listen here. « A Track a Day!